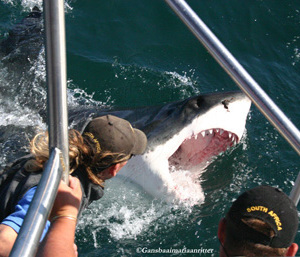 Gansbaai, a small fishing village about 2 hours from Cape Town, is famous for shark cage diving as many Great White Sharks enjoy the waters that this area has to offer. This quaint town is known for its natural, rugged, unspoilt beauty. 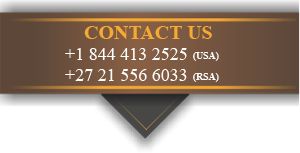 This area is also famous for it’s spectacular seasonal whale watching, soft sandy white beaches and beautiful rugged cliffs of De Kelders. 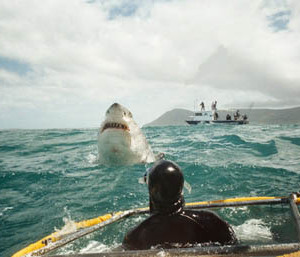 One of the many attractions of the Cape for locals and tourists alike, is the Great White Shark that roams our waters. Most shiver at the thought of swimming meters from the giant beauties in the ocean, but truth be told, it’s a site not to be missed. This once in a lifetime activity starts early in the morning and finishes just after lunch, and runs all year round. Visibility of the sharks will depend on the time of year that you choose to go out onto the ocean.With professional marine biologists on board, and professional skippers that have been guiding on the ocean for years, you are bound to see something as they manage to get the sharks uncomfortably close. Watch with awe, as you learn to respect the beauty of these often feared mammels and watch them breach up to a meter away from the boat. 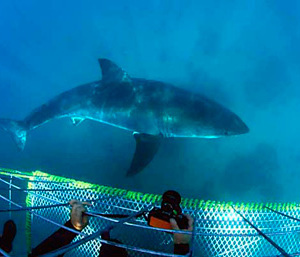 The ultimate experience of course happens in the cage, just off the side of the boat, where you are able to watch the sharks swimming around under water.